Lowes Foods, supporting local farms and providing local people with quality groceries, would like to be your friends and neighbors. The company tries to understand your needs and your experience in its stores. It is listening to you in the Lowes Foods Customer Feedback Survey and will enter you into a drawing contest for a gift card up to $200. Read through the rules and policy. Click “Next” to enter into the survey. Choose your favorite guilty pleasure, how and where your shop. 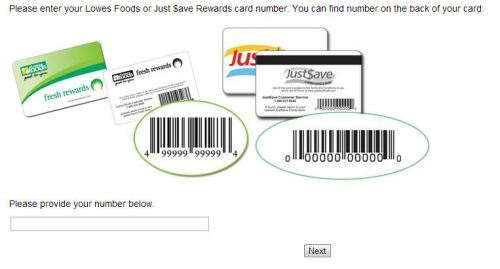 Enter your 11/12-digit card number. It begins with “42”. 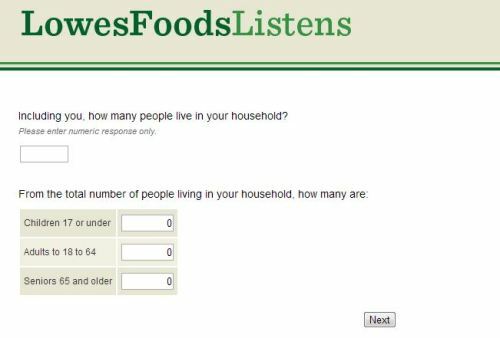 Fill in some personal information, like the number of people in your household, household income, ethnicity and gender. Offer your name and email address to complete the survey and you will be entered into the sweepstakes. Lowes Foods is a chain of grocery stores with locations in North Carolina, South Carolina and Virginia. It distinguishes itself by emphasizing the tight connection with local communities, farms and businesses. For 60 years, Lowes Food has been trying to create “true homegrown” grocery stores. 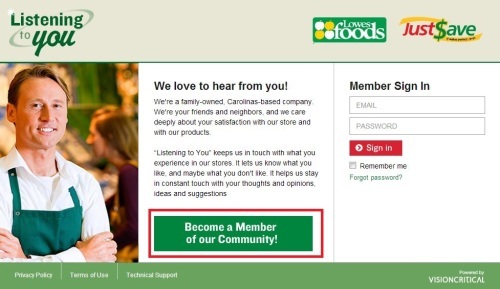 To catch up with the trend of online shopping, the company offers “Lowes Foods to Go” service, which allows shoppers to order online and pick up at store later. it is such a pleasure to visit your grocery store and know where must products are situated in the isles.